Environment activist Wendell Berry once said, “The earth is what we all have in common.” Over at Amazon, we recognize this common cause. We are also cognizant of the fact that environment and clean energy initiatives need entire communities to come together and work together. At Amazon India, we take our role as part of this community very seriously and have continuously strived to light up rural lives with renewable energy, clean lakes, and decrease our carbon footprint by a significant margin. At Amazon, we are putting our scale and our inventive culture to work on sustainability and protecting the environment. We are committed to and invested in this work because it’s a triple win – it’s good for business, good for the planet, and good for our customers and communities. This year, on the occasion of World Environment Day, we are further sealing our commitment to the cause of clean environment and clean energy. We are doing this by making a significant investment in clean energy generation through solar panel installations on the rooftops of our fulfillment centres and sortation sites in India. At the moment, we have already installed close to 1600-kilo watts (kW) of solar power panels at our two fulfillment centres in Delhi and Hyderabad. 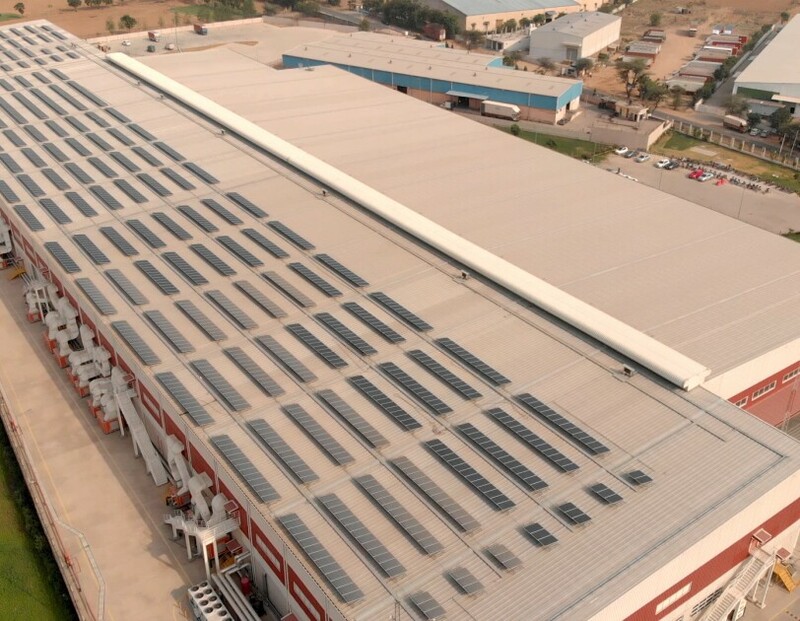 We plan to further deploy large-scale solar panel systems on rooftops of 5 more fulfillment centres and 2 sortation sites located in Bangalore, Mumbai and Chennai. At the same time, we are also working towards expanding existing capacity in Delhi. With this deployment, by the end of 2018, Amazon India will be able to generate solar energy close to 8,000 kW. Installations at these fulfillment and sort centres would cover an area of approximately 1 million square feet, reduce CO2 emission by around 9000 tons a year and provide energy to support the building’s annual energy needs. But our work does not stop with rooftop solar installations at our fulfillment centres. Our approach to clean environment has many legs and touches the lives of many communities that we are part of in India. Four Amazon Cares Community and Resource Centres in Haryana now have solar energy systems that provide solar power to support the community programs in these centres all year round. We have donated solar energy systems to 19 government schools and 1 mini-planetarium in Bhiwandi, Maharashtra. This infrastructure supports the needs of children in schools and other members of the local communities in 24 villages, consequently benefitting more than 2500 people across Haryana and Maharashtra. Our other recent environment-friendly projects include the rejuvenation of the Mahadevpura Lake in Bengaluru where Amazon India has teamed up with Bruhat Bengaluru Mahanagara Palike (BBMP) and United Way Bengaluru to construct a sewage treatment plant designed to clean up to 1 million litres per day. In the coming weeks, we will plant more than 10,000 saplings around our fulfillment centres in addition to rolling out an environmental awareness campaign for our associates across more than 200 of our operations sites across the country. 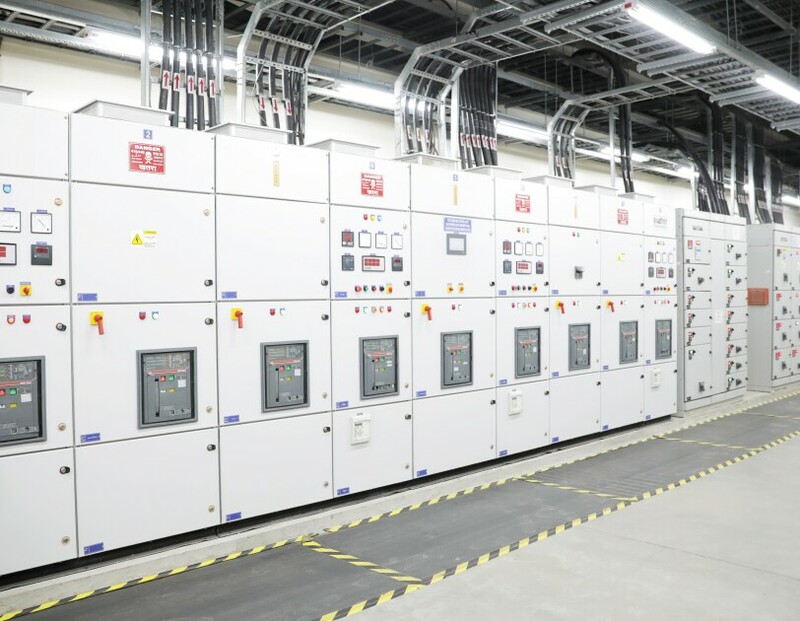 The DC power generated by the solar systems on the rooftop is brought down and fed to 8 different inverter units which convert DC power to AC power. The AC power from the inverter units is now fed to the common Bus Bar of this panel. A common feeder from the panel then takes this power to the Main LT panel of the FC. 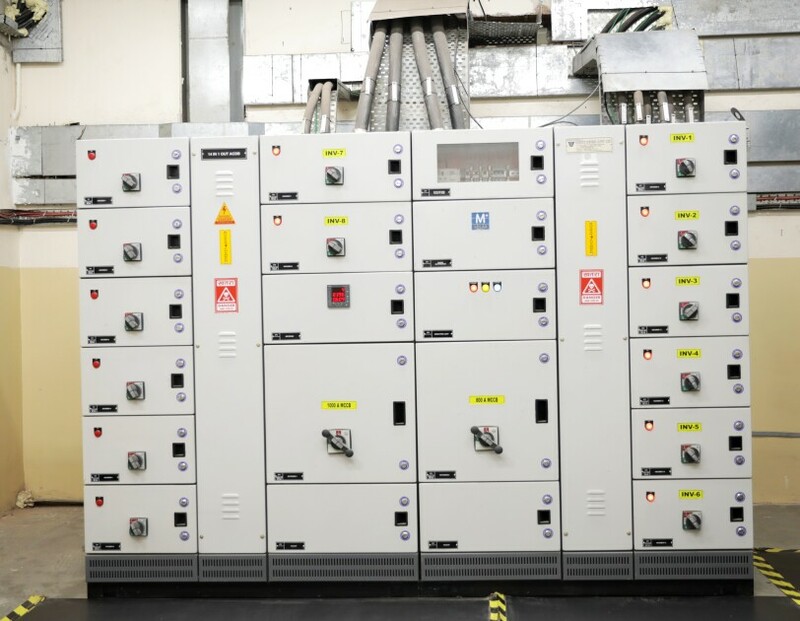 The AC Power coming from the Solar control panel is fed to the Main LT panel of the FC, where it is synchronized with power from the transformer and now supplies the electrical load for the building.